Greetings and welcome to Day #6 of Chocolate and Berries Theme Week. 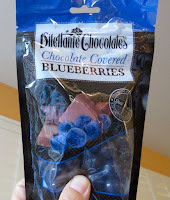 Today we're returning to blueberries—Chocolate Covered Blueberries from Dilettante Chocolates (Kent, WA). The company has a long family history in chocolate, and has continued to create new chocolates in the last few decades. These milk chocolate covered berries used dried blueberries from the Pacific Northwest. 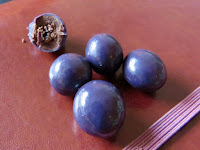 The finished shiny round pieces were fairly sweet with a hint of earthy blueberry flavor. 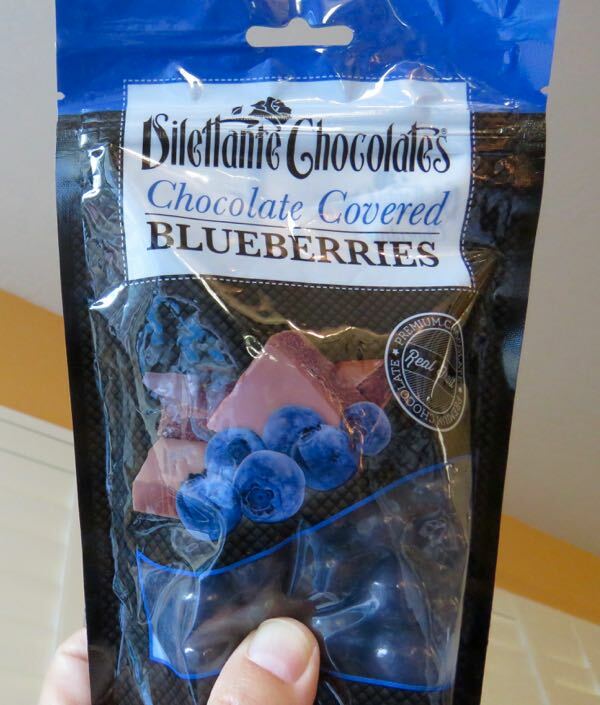 For those with food sensitivities, these berry confections contained no wheat/gluten ingredients (that I could see). They contained milk and soy, and artificial food coloring.